Long Beach State women's soccer kicked off a busy weekend with a dominating 1-0 win over UC Davis. Disclosure: Mr. Addison is and has been a personal friend of Mr. Garcia for nearly a decade. If there was anything to be said about the election of Long Beach’s next mayor, it was that it showed a city divided—but not in the sense one would think. On the one hand, there was a Long Beach that—at least for me—was a Long Beach I had never seen, one which opened its arms (quite widely) for someone whom was largely a newcomer to the city with endorsements (not to mention a former OCer—hey, Damon, we all make mistakes but this commentary still stands). Despite his opponent leading over him by almost five percent, Damon Dunn’s efforts should not be dismissed: he defeated multiple Long Beach political veterans in the primaries (efforts that ultimately provided the seemingly-unstoppable Lowenthal dynasty with their first ever loss given Bonnie third-place ranking in said primaries). 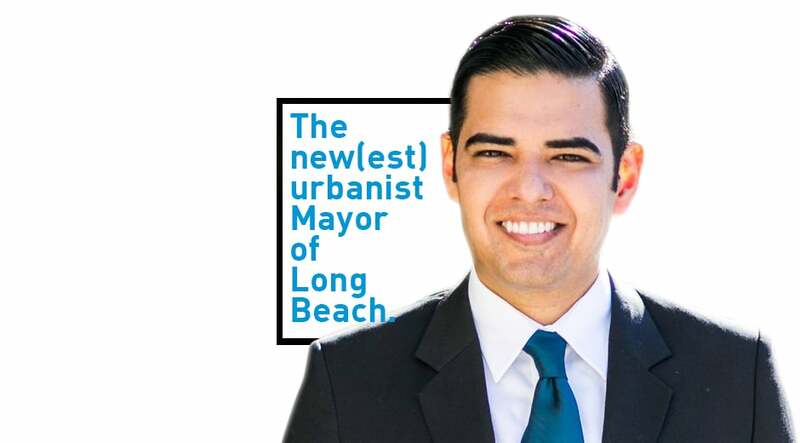 That being said, I am personally thrilled—not just as a friend but as an avid supporter of urban livability—that the other Long Beach, the one I know so well and, well, given there is no other way to put it, the Long Beach that puts Long Beachers first, ended out on top with the election of current Vice Mayor Robert Garcia. This isn’t to downsize Damon’s approach to urbanism; he was an outspoken proponent of bikes, less cars, green technologies, more parks, and less pollution. He’s very well in tune with what Long Beach wants. But Robert is unquestionably going to be Long Beach’s most adamant new urbanist. “I want more cops on bikes,” Garcia said, one of the many points he’ll happily make without the bat of an eye. And what about horses? He notes that the LBPD had horses nearly a decade ago. But he emphasizes bikes are better because they engage on a more human level: it’s easier to stop cops on bikes and citizens feel less fearful of approaching. If anything, Robert doesn’t need the ideas—only the funding. While this sounds like the typical political struggle, it’s actually not because, well, bluntly put: no mayor (or Long Beach politician) has been so driven toward ideas that, even if outrageous in the name on dollar signs, are downright innovative. Robert also notes the plans in place already, such as the (long-dreamt of) greenbelt that will connect Drake Park in Wilmore to Cesar Chavez park, with plans to install soccer fields, a skate park, wetlands restoration, a river park, in addition to the upgrades which have already happened. This isn’t to say we’re (entirely) lost financially. At this point would be a juncture to acknowledge current and outgoing Mayor Bob Foster (and to note that my superlative “most adamant new urbanist” is not necessarily a jab toward any previous mayor). If there was anything to be said about the bulldog that was Foster, in terms of urbanism, it was that he staunchly stood by the health of its West Side citizens who are being dealt the worst hand ever with the proposed SCIG project. Bob, you’re my kinda man (don’t get that twisted—you know what I mean). For Robert, modernization isn’t synonymous with pollution—and he makes that clear by pointing out that growth can occur without incurring a massive cost on the environment. The Middle Harbor project, he points out, is one of the Port’s most green projects. Of course, SCIG—and its subsequent lawsuit—has to do with the fact that the project is part of Los Angeles, approved not in any way by Long Beach—whose West Side citizens are most affected by SCIG—but by both the Port of Los Angeles and the City of Los Angeles. Hence the lawsuit. Which is why the very public bonding of LA Mayor Eric Garcetti and Robert, both of served as former councilmembers of their respective cities, is significant. Garcetti is no Villraigosa, who never appeared at an election night in Long Beach as far as I know—and that moment, which Garcetti himself described as the end of a rivalry, marks for a promising future. Keyword: promising—because, much like his support of the SCIG suit, Robert echoes the dog-headed Foster more than he knows when it comes to being backed against wall. These types of choices are pertinent since, as more bicyclists actively (and sometimes:very stupidly) engage in riding on the streets, the divide between drivers and bicyclists—check out this comment section—grows in frustration. For Robert, that means educational and behavioral challenges: he staunchly believes that the future of most urban centers will be more bikes—not less. Robert even said, after my prodding, that he is open to working with the state to discuss Idaho Stop-like changes to the vehicle code—as long, of course, he became more well-versed in the literature.